Japan is situated in a fault line the reason why it experiences earthquakes more often than other countries. The latest to shook this Asian nation was the Kumamoto earthquake that struck in April this year. A 6.5 magnitude quake hit Japan’s southern region claiming the lives of nine people and injuring some 800 more. A stronger tremor occurred afterwards with a magnitude of 7.1 to 7.4 and 100 more aftershocks. According to scientists, the April 2016 temblor was a series of quakes caused by two plates slipping against each other along an active inland fault. And since they occurred at shallow depth, they resulted in the destruction of the bedrock. This earthquake is also said to be of the same type as that of the 1995 Great Hanshin earthquake that it Kobe and killed more than 6,000 people. 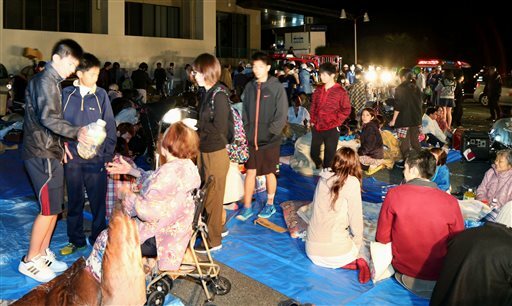 Fortunately, relief efforts come right away whenever Japan experiences an earthquake. The U.S. is often among the first to respond to such natural disaster joining Japanese troops and emergency services personnel in the relief operations. Non-profit organizations are also raising funds to help the victims and other affected families. Most accept direct donation through their website to make it more convenient to generous people who want to help in whatever way they can. Here are some reliable organizations dedicated in helping the Japanese rebuild their lives and communities in the aftermath of the recent major earthquake in the Kumamoto Prefecture. They have respective websites where people can donate their share for specific projects online. Association for Aid and Relief (AAR) – AAR is experienced in emergency disaster relief, assistance to people with disabilities and mine risk education. Founded in 1979, it now has offices in 10 countries and is operating in 13 countries. Global Giving – Global Giving launched its Kumamoto Relief Fund after the April 2016 quake. The organization is considered a top-rated charity which has raised millions of dollars for recent disasters including the Nepal earthquakes and Typhoon Haiyan. Nippon International Cooperation for Community Development (NICCO) – NICCO is a Japanese NGO with vast experience in disaster assistance, community as well as human resource development and rural environment protection. Established in 1979, it is now operating in six countries. Japan Center for International Exchange (JCIE) – JCIE is an independent NGO specializing in Japan’s international affairs. Established in 1970, its objective is to foster dialogue and cooperation among countries such as Japan and the U.S. to promote and strengthen civil society and philanthropy. To date, it has distributed more than $2 million to 160 innovative non profit organizations.